Hey there! Ready for some more Papertrey Ink goodness? Today we are sharing new products centered around birthdays, including tags, cards, and pretty packaging. 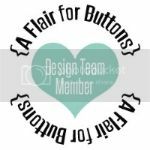 I've used the darling, new For You stamp set and For You Tag dies on my card. The tag consists of 3 layers, the bottom layer was cut using the Basic Cut Tag die. I die cut my center tag layer (using the For You tag die) from watercolor cardstock and then used my Zig watercolor markers to color each candle. I then used stamps from a new set you'll hear more about tomorrow, to add pattern to each candle...swirls, stripes, dots, etc. I then topped off each candle with some Diamond Stickles. Lastly, I added the top layer of the tag, cut from Limeade Ice Gingham, using the new Window Cut Tag die. I added my For You sentiment to a die cut Double Ended Banner. At the bottom of my card I've used the new Keep it Simple: Birthday III stamp set in Summer Sunrise. At the top of my card, I used a confetti image from the Good Times stamp set, stamping it in Aqua Mist ink. My tag for my tiny gift bag, uses the same set of dies and same technique, the only difference is that I cut my top layer from Hawaiian Shore Stripe paper, and stamped my sentiment on a die cut Paper Clippings: Birthday Details die, stamping in Hibiscus Burst ink. The little glittered stars on both tags were cut using the Sweet Holiday Wishes die. My tag is attached to a gift bag, die cut using the In the Bag die and was cut using Pale Peony + White Basics. Next up is a gift, wrapped up in a burlap drawstring bag, embellished with a tag cut using the new Wrap it Up die collection. This set is AMAZING! So perfect for lots of different occasions. I used Kraft cardstock for the main portion of my die cut gift, adding stamping using the Polka Dot Basics III stamp set and white embossing powder. My bow was die cut using Chicken Scratch Gingham paper and paper from the Make it Market Kit: Post & Parcel. I embellished with berries from the Make it Market Mini Kit: Color Pop Autumn, and pine sprigs from the Shaped Sayings: Christmas die collection. My tag is stamped using a sentiment from the Mini Blooms stamp set. There's lots more to see on the other designer's blogs listed for you below. Thanks for stopping by! Love the pretty glittered candles, but oh the burlap gift bag has my heart!! You are fabulous at pairing color! Oh that bow! Showcased perfectly in gingham! Adorable tags too! I think you must be mistaken, Melissa. I did not see a sneak peek for a new patterned stamp set. :) Love your sweet projects today. What a pretty gift set and burlap bag. Oh, my. Those candles are amazing. All of the extra steps you take make a huge difference in the final look. And the kraft tag is charming. You have a way of working color and pattern, Melis. Do you dream up some of the items you make? The card and bag are simply adorable and the colors at first made me think of Easter although I know it is the wrong holiday. All the colors are beautiful together. The craft tag on the burlap bag is very cute, too. I always wonder what was my crafting life before I discovered you,certainly it was not as colorful and whimsical and perfect as it is today! You have manage to make me grow in boundless creativity and colorful amazement and magical creations ! Whereas before I would cringe when I lost my mojo, now I only have to say....What will Melissa do? And all my problems are solved. Thanks for giving my decorative wings the power to FLY!